The Gulf Crisis has revealed the exceedingly complex nature of relations in domestic, regional and international arenas. Continued disputes have called into question the relevance of the Saudi troika. Since June 2017, the Gulf region has been embroiled in a bitter dispute between Qatar and the Gulf Cooperation Council-3 (GCC-3), comprising Saudi Arabia, the UAE and Bahrain. As the Gulf Crisis continues into 2018, it suggests more instability for the Arabian Peninsula, a region already rocked by the spiralling Yemeni conflict, major political shifts in Saudi Arabia and heightened tensions with Iran. Qatar is a small state, nestled between regional behemoths Saudi Arabia and Iran. In the 1990s and early 2000s, through savvy investments in liquefied natural gas and a serendipitous increase in gas prices, Qatar transformed from a regional backwater to a thriving international player, making high-profile investments in arms, arts and real estate. The Qataris also used their newfound economic prowess to lever themselves out from Saudi Arabia’s shadow. A key element included the financing of Al Jazeera as a tool of soft power, and positioning Qatar as an effective international mediator by allowing figures from controversial groups such as Hamas and the Taliban to reside in Doha. 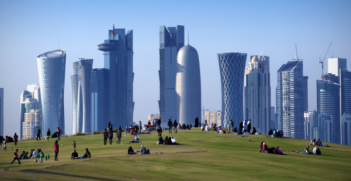 The 2011 Arab Spring brought Qatar’s foreign policy activism to new heights. Its eagerness to exert influence across the Arab world, however, set Qatar, which aligned with Islamist opposition movements, on a collision course with the Saudis and Emiratis, who sponsored secular regimes. In Tunisia, Libya, and Egypt, among other places, the Qataris, Saudis and Emiratis supported opposing parties, essentially engaging in a proxy power struggle. Qatar especially supported offshoots of the Muslim Brotherhood (MB). The MB offers a version of political Islam that clashes directly with Saudi Arabia’s claim (via Wahhabism) to represent the global Muslim community. For Qataris, supporting the MB offered a dual opportunity to position themselves as the champions of the Arab Spring, and to undermine Saudi legitimacy. Such was the pressure to positively portray the Muslim Brotherhood that Al Jazeera staff publicly complained about editorial bias. Bias, of course, hardly justifies the GCC-3’s demand to shut down Al Jazeera; but to the Saudis and Emiratis, Al Jazeera represented not a bastion of free speech in an authoritarian region, but rather the mouthpiece of an increasingly problematic regime. For the Emiratis, especially, the Muslim Brotherhood is perceived as a grave security threat in a country where Islamist ideologies challenge the pro-Western development strategy and legitimacy of the royal family. Abu Dhabi’s Crown Prince Mohammed bin Zayed Al Nahyan is well-known for his vitriolic distrust of the Brotherhood. In 2014, Saudi Arabia and the UAE designated the group as a terrorist organisation; the GCC-3’s claims that Qatar sponsors terrorism must be understood in this context. Another exacerbating factor was the looming resurgence of Iran following the 2015 nuclear deal. In Saudi Arabia’s view, Iran’s influence in Syria, Iraq, Lebanon, Bahrain and Yemen had expanded to unacceptable levels. 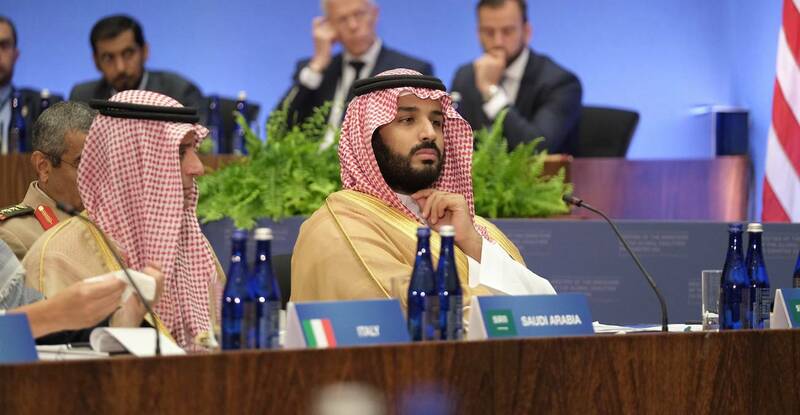 Newly powerful Crown Prince Mohammed bin Salman Al Saud has embarked on an aggressive attempt to counter Iranian influence. Within this environment, greater Qatari independence, coupled with Qatar’s relatively positive relationship with Iran, with whom Qatar shares a major gas field, creates an instability on Saudi Arabia’s doorstep that they clearly don’t feel they can afford. The Gulf Crisis thus arose amid conflicting foreign policies and simmering resentment among Gulf Cooperation Council (GCC) states for perceived interference in domestic politics. Dissatisfied with 2013 and 2014 attempts to force Qatar to conform, on 5 June 2017 the GCC-3 and Egypt announced an immediate cessation of diplomatic ties and an air, sea, and land embargo. Much of the crisis appears engineered; in July the Washington Post reported that the Emiratis were responsible for the hacking of Qatar News Agency, publishing a piece that subsequently became the GCC-3’s justification for the crisis. The UAE, unsurprisingly, denies the report. As the crisis has continued, moreover, Qatar has come under increasing economic pressure, though its substantial foreign holdings allowed it to weather the crisis to a greater extent than expected, reorienting trade routes, improving food security, and strengthening relations with Turkey and Iran. While Qatar’s long-term ability to resist pressure from the larger economies of the UAE and Saudi Arabia is debatable (most recently, Qatar claimed its currency had come under attack), the crisis is also notable for what it has not engendered: that is, remarkably few Arab states have signed up to the anti-Qatar coalition, frustrating the hopes of key Gulf Crisis architects Mohammed bin Zayed Al Nahyan and Mohammed bin Salman Al Saud. Accompanying continued economic pressure have been repeated attempts to unseat current Qatari Emir Tamim bin Hamad Al Thani, revealing an acrimony within the new generation of GCC royals that will shape the Gulf region for years to come. Some attempts appear almost farcical, were the consequences not so serious. Media linked to the GCC-3 have described Tamim’s rule as insecure, touting various figures virtually unknown to Gulf analysts as Qatari ‘leading opposition figures’. Their efforts gained little traction, with a much-vaunted September 2017 ‘opposition conference’ reportedly only sparsely attended. More worryingly, when Sheikh Abdullah bin Ali al-Thani emerged from obscurity in August 2017 as the GCC-3’s preferred representative for Qatar, it seemed the Emiratis and Saudis might have been testing the waters for a ‘white coup’. It is hard to see how such blatant interference could have succeeded, and Qataris responded in a surge of fervent nationalism, espousing their loyalty to Tamim ‘al-Majid’, or Tamim ‘the Glorious’. Abdullah then disappeared from public view in late 2017, before re-emerging in mid-January 2018 in an online video, claiming he was being held hostage in the UAE. The Emiratis swiftly disputed his claim, and Abdullah left for Kuwait two days later, soon after releasing an audio recording through Al Jazeera where he decried the crisis as an attempt “to usurp the wealth and riches of Qatar”. Misinformation, propaganda and opaque politics have complicated attempts to understand the Gulf Crisis: one less-discussed allegation, for example, is that Qatar conspired with Bahrain’s largely Shia opposition to undermine Bahraini stability in 2011. The continued crisis brings the GCC itself into question, with the UAE and Saudi Arabia announcing the formation of a new economic and military partnership on 5 December. The ‘neutral’ GCC states, Kuwait and Oman, will be watching events with trepidation; not only would the collapse of the GCC be politically and financially damaging, but a successful effort to bring a smaller neighbour to heel would set a troubling precedent for two states who differ with the GCC-3 on a number of domestic and foreign policy priorities. A continued Gulf Crisis also holds international relevance, as Saudi Arabia, the UAE and Qatar continue to exert influence in the Middle East, North Africa and, increasingly, West Africa. China, Russia, Turkey, the UK and France have also been seeking to fill the vacuum caused by the relative decline of US influence in the Gulf region. The US, for its part, hosted the US-Qatar Strategic Dialogue this week, during which Qatar announced the expansion of the American al-Udeid air base and pushed for major arms sales. 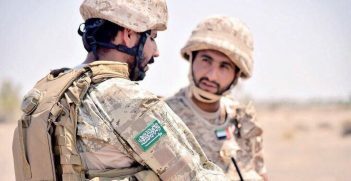 Neither the US nor other actors, however, have been able to successfully resolve the Gulf Crisis, and it appears that the potential for an escalation of the crisis in 2018 has only increased. Dr Jessie Moritz is a postdoctoral research associate on Middle East Political Economy at Princeton University. While on the surface the United Arab Emirates is a well-behaved “little brother” to Saudi Arabia, its recent actions show that the UAE is slowly but surely positioning itself to become a formidable regional power.